Multipurpose White Lithium Grease™ is a 12-hydroxy lithium-based lubricant with an outstanding resistance to water. It performs well in high-speed, heavy-load conditions, and also contains oxidation and corrosion inhibitors. White Lithium Grease is perfect for use in applications such as farm and plant machinery maintenance, hinge and latch lubrication, shop and plant maintenance, gasket dressing, bearing greasing and more. 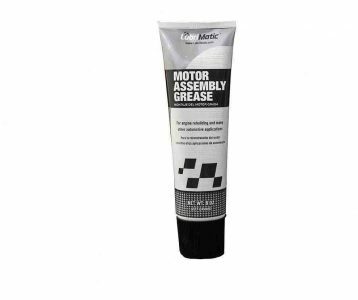 Motor Assembly White Lithium Grease will be added to Cart!